Even when it has become more difficult than ever to enter the music industry, the Internet provides an economical and easier entry point without having to invest big. You can now create your own music website, packed with all the features to sell and stream your music, at just a tiny fraction of the cost. Wix is your comprehensive site building platform and using Wix Music you can give your fans and followers the power to purchase your music directly from your site. With Wix you can not just create a website, you can take your music to your target audience without any middlemen. 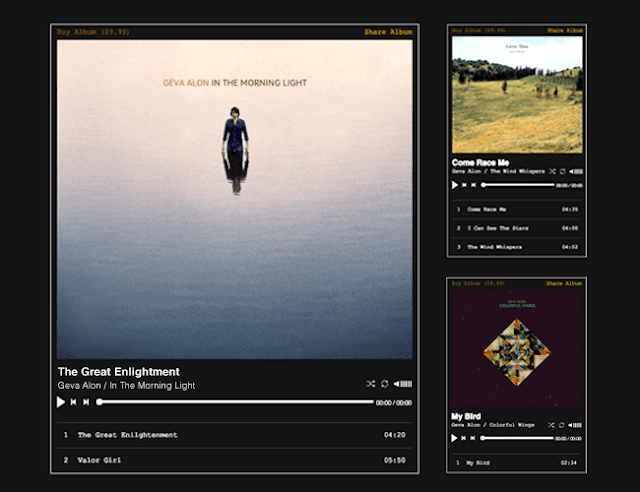 Wix Music has been developed specifically to allow musicians to upload music to their Wix site. It provides you all the tools required to upload and sell your music. Wix Music allows you to sell your music without incurring any commission to Wix. In fact, it has been developed with a large distribution foundation created in the background. The platform allows you to distribute your music to more than 120 online music stores. You get the required exposure so that people will know about what you have to offer. It is not just about creating a website. It comes with an existing distribution network. Wix Music provides you all the tools along with the foundation to showcase your music. Did you just create your album? Do you have a new track? You can showcase all your music here, reach out to your target audience and start selling without having to pay big to any distributors. You can also promote your music using the same platform. Thus, Wix provides not only a site building platform, but also a place to load your music, present it and sell it. The site building part costs you but not the music promotional aspect. You can also use email marketing and social media marketing to promote your music. Distribute your music on the top chants including iTunes, Google Play, Apple Music, Rdio and Spotify. Display and sell your music directly without having to pay anyone else. Files can be loaded in the most popular music formats including WAV, MP3, ALC and FLAC. Sell your music in high-quality 320 kbps. It also allows batch uploading. Upload and edit multiple tracks simultaneously and save your time. The player can be customized to create looks that perfectly match your brand image. Choose the colors, fonts and layouts that also blend in with your website’s looks. You can also add cover art and lyrics for an impressive effect. You can not only customize the player to appeal to your target audience, you can also customize the EPKs. Your custom electronic press kits can help reach out to both media and fans about your music launch. Build your fans and organize a press conference. The EPKs are protected with a password, so that you are always in control. Without being able to keep track, you will not be able to know how your website and promotional campaigns. Get to learn about the popularity of different tracks or albums so that you can put extra effort on tracks/albums which may not be performing as per expectations. Every time a purchase takes place, you will be notified. Wix Music allows you to sell your music anywhere and in any part of the world. It also provides you tools to engage with your fans and manage the entire experience. Interact directly with your fans and respond to them through emails. Wix Music has a feature known as Wix ShoutOut that allows you to send out elegant emails. Instantly create stunning meals that keep your fans up-to-date with your latest release and tours. As a musician, you will no longer have to worry how to promote and sell your tours. Wix Music provides you just the right tools to promote your tours and offer online tickets. Songskick and Bandsintown are among the top ticketing booking platforms. Wix has already set the standards for custom web designing platforms. 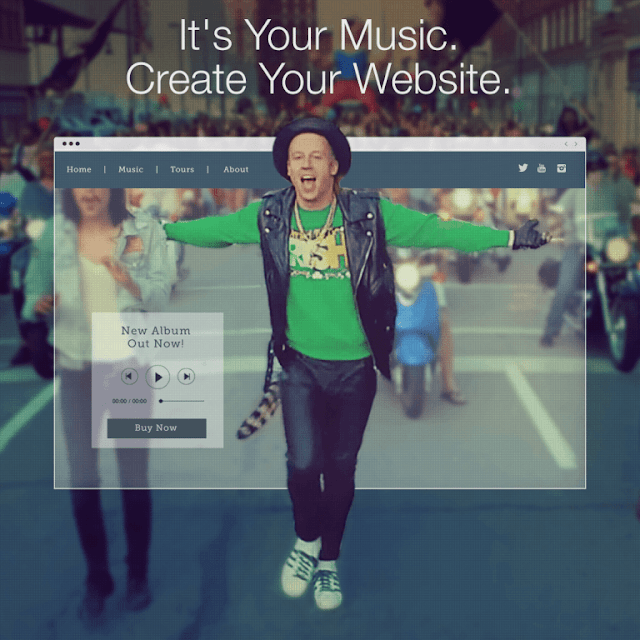 With Wix Music, the site builder caters to a specific segment – musicians. Now you can create a website, sell, share and promote your music from the same place. Let people download and stream your music. Let them keep up-to-date with your tours and even buy online tickets – all from one place. Sell music without paying any commission to anyone. It provides not only a free platform to showcase your music, but also lets you distribute it on the top online stores and distribution services. Even if you are a budding artist who doesn't know how to build a network before promoting your music, Wix Music is the perfect place to kick-start your career.